Sooo this past weekend I washed my hair. It was a great wash indeed. I am finding that I have to use A LOT of shampoo though. For the first time I used Infusium 23 leave-in conditioner. This conditioner comes highly recommended from Toshia from On the Road to Queendom. She's been using it for years and she says that it's been great on her color treated hair. I loved it! I added my own essential oils and my hair was softer than usual after a wash.
And then on a whim, I started braided the locs. I took 3 and 4 at a time and braided as tight as I could. I used aloe vera gel and it look a little over an hour. I made a blend of sweet almond oil, orange, peppermint and rosemary and ran it through my scalp and braided locs. And I sat under the dryer for a good 20 minutes or so. Not bad, uh? I actually like how this looks so I've been rocking it just like this. Yeah, it looks a little Celie-ish (10 points if you know who that is...ha!). I'll give it a good 3 days and we'll see how it turns out. The last time I did my hair like this (it was much shorter) I haaated the outcome. Something tells me I may dig it this time around. Can't wait to see the outcome! You did a great job braiding! 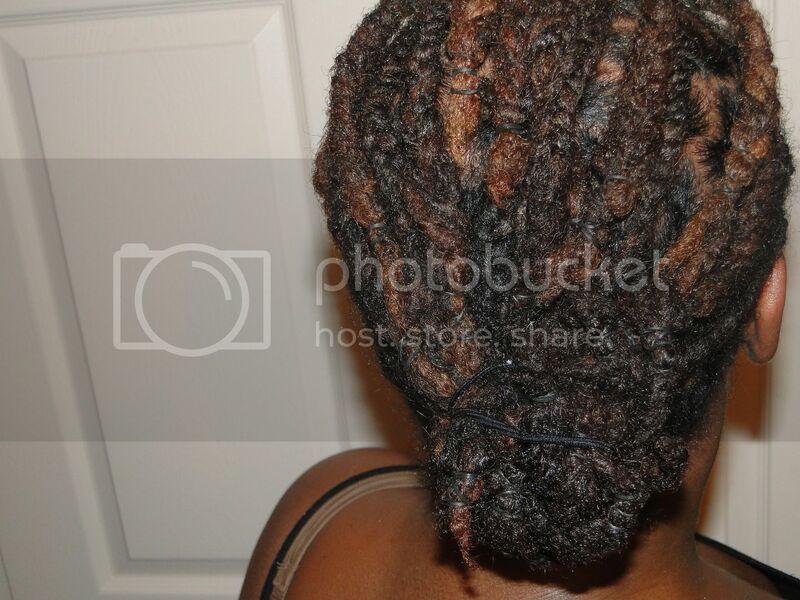 I don't think it looks Celie-ish! hehe. It looks great :). No, you don't look like Color Purple. Does it feel as tight as it looks or is it because you did maintenance on your newly washed roots? Can't wait for the take down, as I'm sure the wave will look nice! you don't look at all like color purple! This is so beautiful!! NESS---> Really? Maybe like Celie, 2.0 or somethin'. Ha! Tamyra---> I got mine from Whole Foods. You can scoop some up at any natural food store. Very nice! Any style suggestions for those of us who can't braid or are...stylistically challenged? 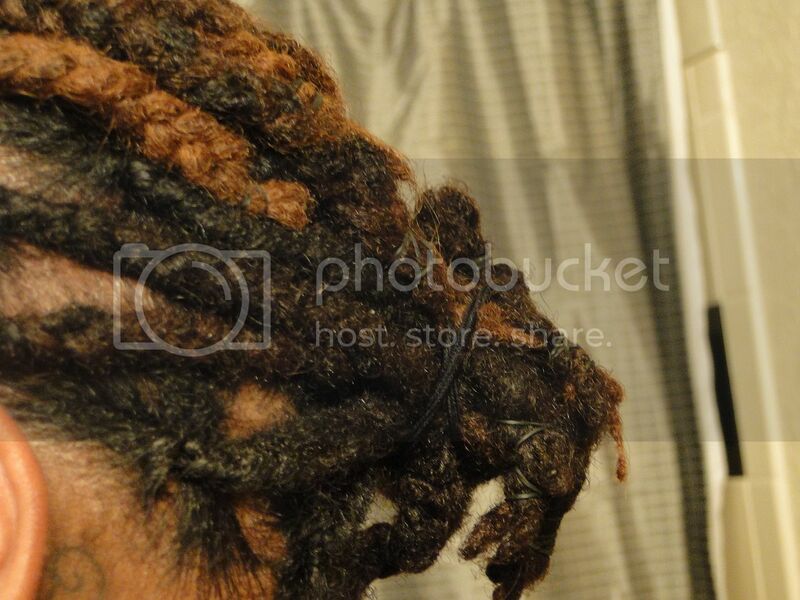 lol My locs are just to my ears, and I have no clue what I can do to them! 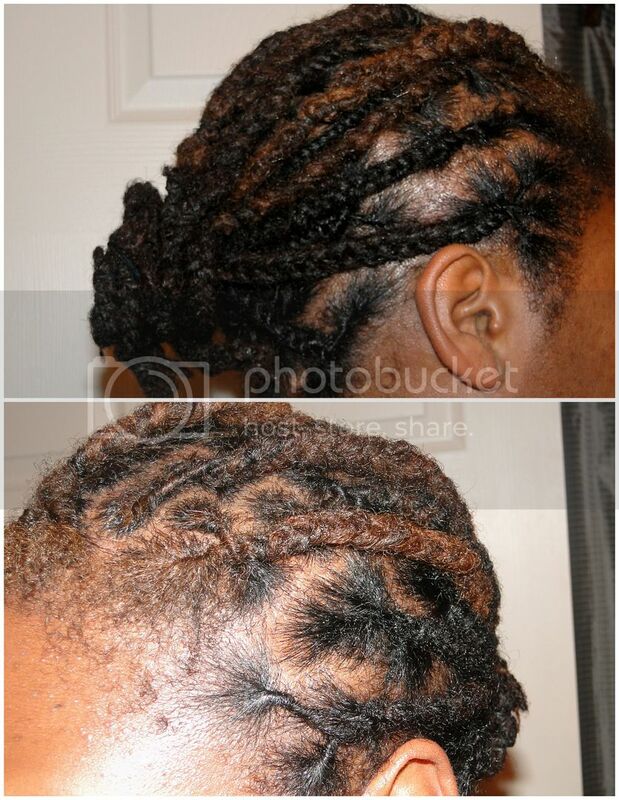 transego---> Check this out: http://www.locrocker.com/2010/03/styles-for-medium-lengthed-locs.html. I like it Brittany. Your oil concoction must be great. I absolutely love rosemary. It is shining. Looks healthy. Can't wait to see how it looks. My hair is different lengths so I can't even braid my hair like this and wear it out. Ends would be sticking out all over the place. Interested to see how it will turn out. You did a good job of braiding them so nicely. I can't wait to see the results! i do five at a time, loosely braided, and I find that makes the best and loveliest crimps for me. What is Black hair? Read this post here. I'll be adding a few more posts/videos about Black hair in its entirety. Knowledge is power! 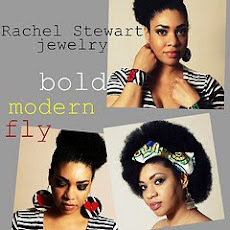 Check out my beauty blog and Loc Rocker's big sister! Lovely Locs, Awesome Afros and Curly Hair galore! 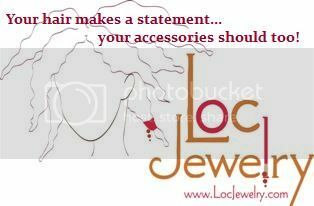 This site was designer by Visual Luxe for Loc Rocker. Do not use any code, images, or design elements from this site without permission.